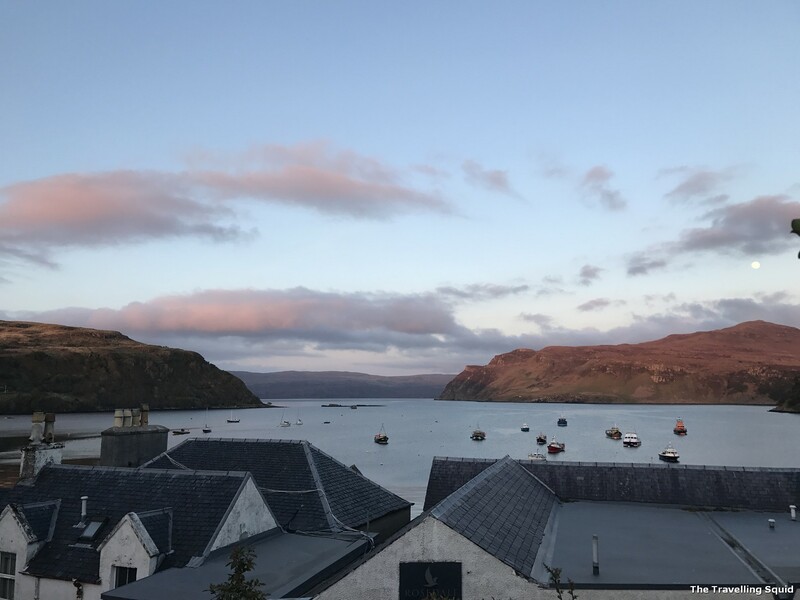 Sunset at the Portree Harbour. 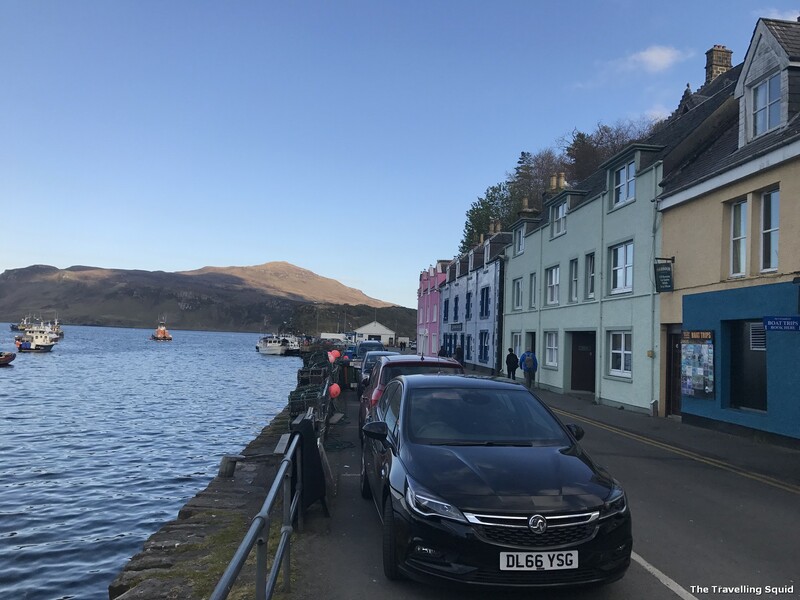 Portree is a beautiful little town in Isle of Skye, the harbour being the center of attraction. It is surrounded by cliffs, and during sunset, looks splendid with floating boats and little yachts. 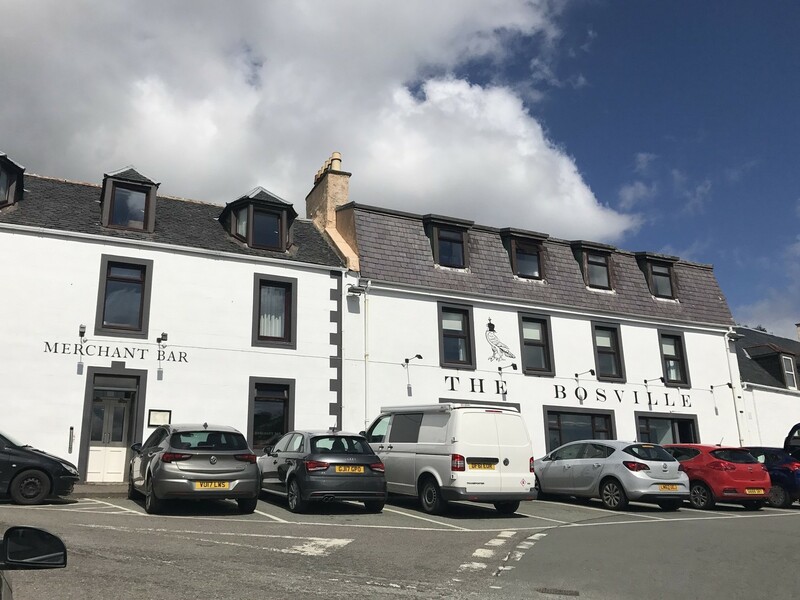 We were lucky to stay at the Bosville Hotel, a 10-minute walk from the Portree Harbour in Isle of Skye, and had a pleasant little walk before dinner. 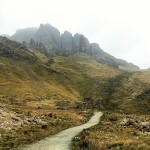 There are walks from the Harbour which lead around the coast. I’ll talk about them in a separate post. 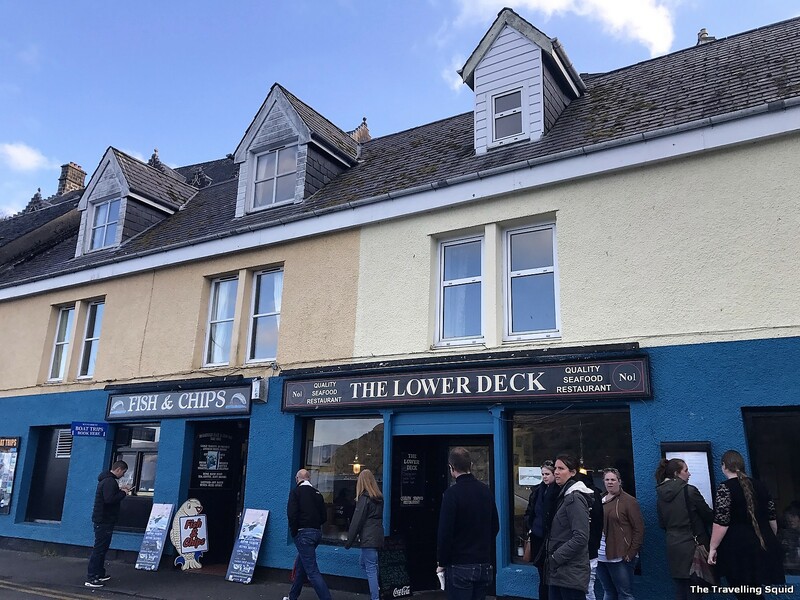 There are really good restaurants a short walk from the harbour. (I can’t comment on the ones which line the harbour’s perimeters though.) Now, here’s what Wikipedia has to say about Portree. 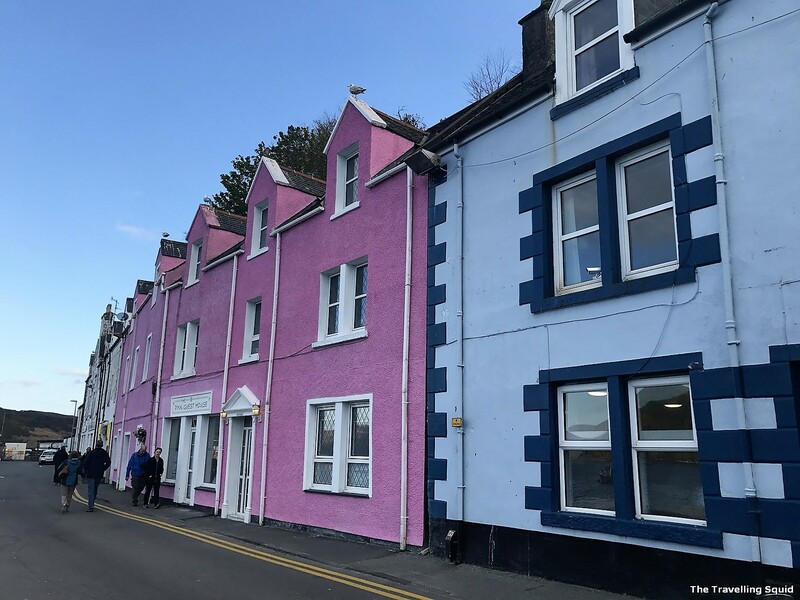 According to Wikipedia, Portree is the largest town on Skye in the Inner Hebrides of Scotland. 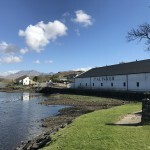 It is the location for the only secondary school on the island, Portree High School. Public transport services are limited to buses. 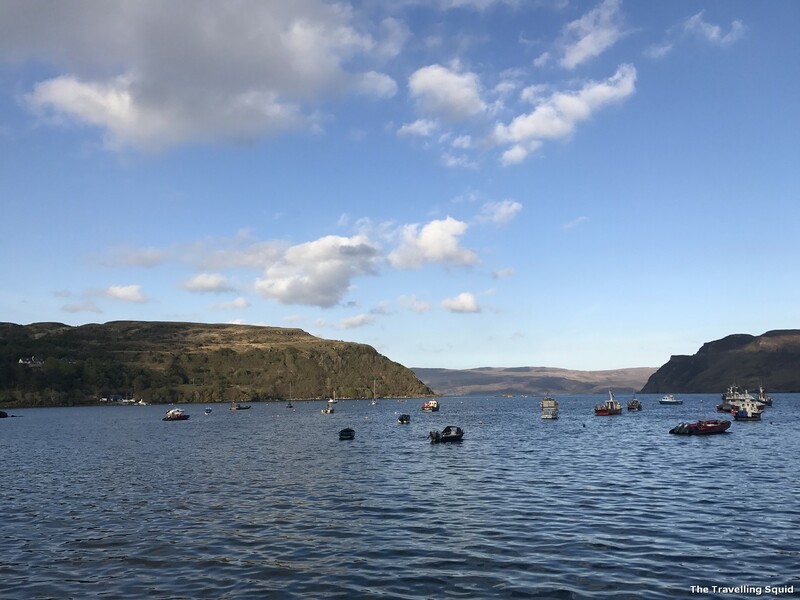 Portree has a harbour, fringed by cliffs, with a pier designed by Thomas Telford. The town also serves as a centre for tourists exploring the island. 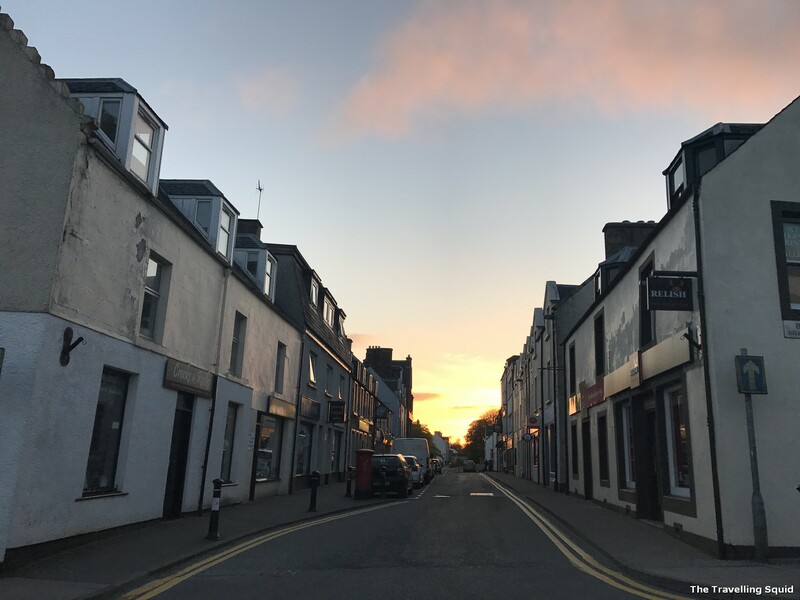 About 2,600 people live in Portree. 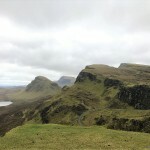 The A855 road leads north out of the town, passing through villages such as Achachork, Staffin and passes the rocky landscape of the Storr before reaching the landslip of the Quiraing. 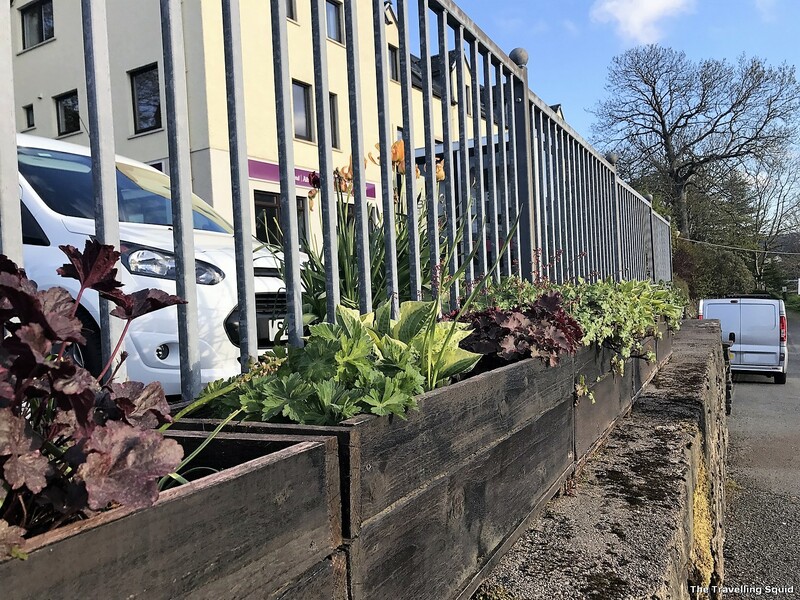 Little plants all set up to line the side of the carpark. 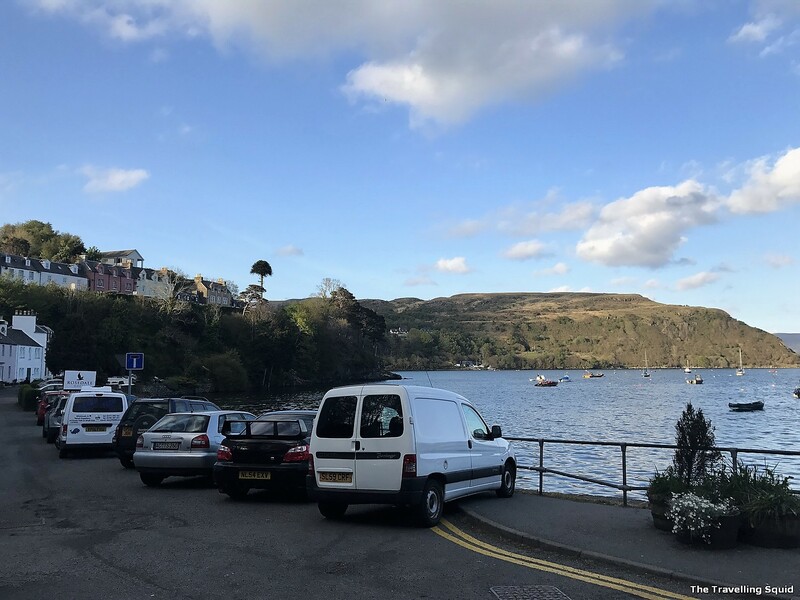 The Portree harbour – there’s a small parking lot for cars. Restaurants and guesthouses that lined the pier. 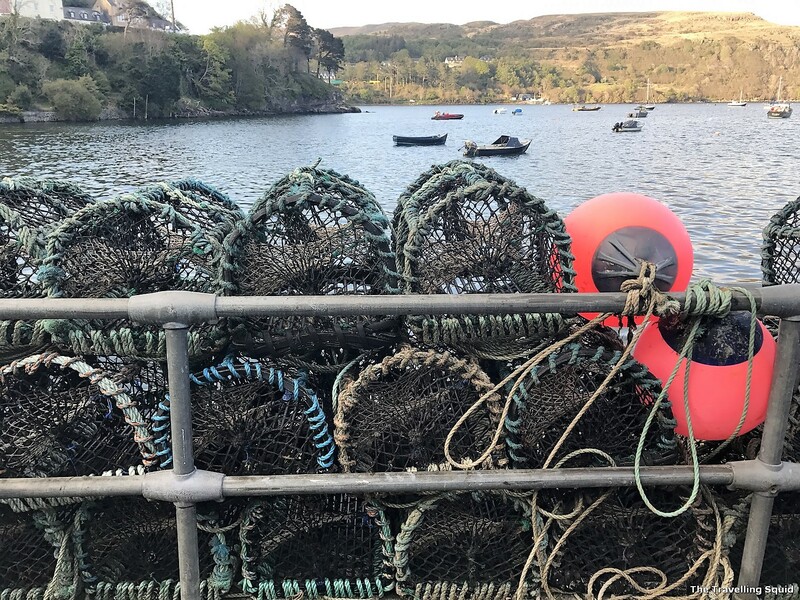 Wonder what are these cages for – crabs? 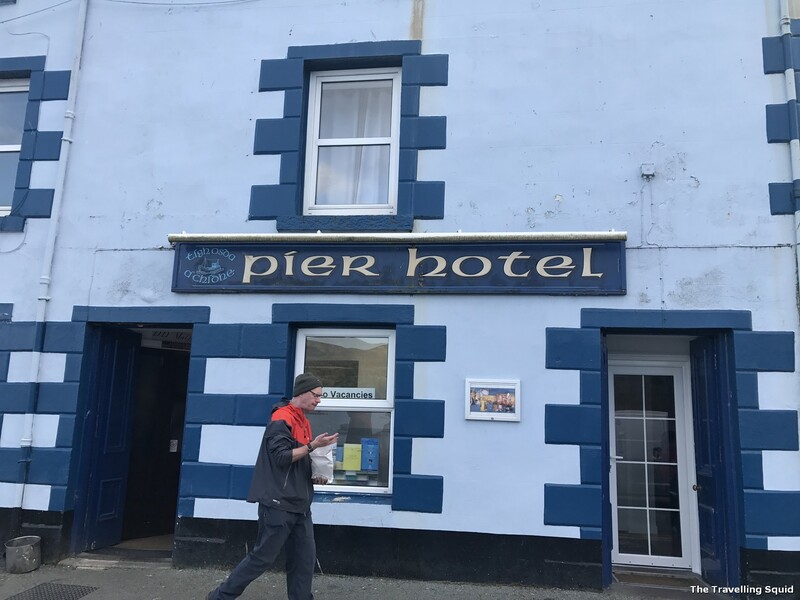 I commented to my companion S that we could have stayed at the Pier Hotel, and S disagreed vehemently. It would have cost us two-thirds the price! Anyways it has a 4.5/5 rating on Tripadvisor – which adds to its legitimacy I’m guessing? It’s definitely not as sleek as Bosville Hotel, and the breakfast, probably not as nice. 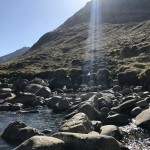 Pictures on Tripadvisor show it as an old fashioned, cosy cottage kind of hotel. Not for the modernites out there. What it looks like, in the direction of Bosville Hotel. From the rooftops – the view is still as breath-taking. 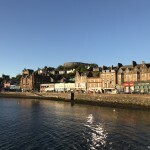 I would say unlike the harbour in Oban, Portree’s harbour is not so commercialised, and probably less bustling. No huge passenger ferries docked by the it’s berths, there were not too many fishing vessels too. Just swanky yachts that lined the horizon and small fishing boats. This makes the Portree Harbour in Isle of Skye a good place to live around. We lived just a 10 minute walk away, and it makes for a good evening stroll, before or after dinner. It’s very relaxing and perhaps comforting, especially when the last glow of the setting sun drenches the buildings around in golden light. As we walked back to the Bosville. 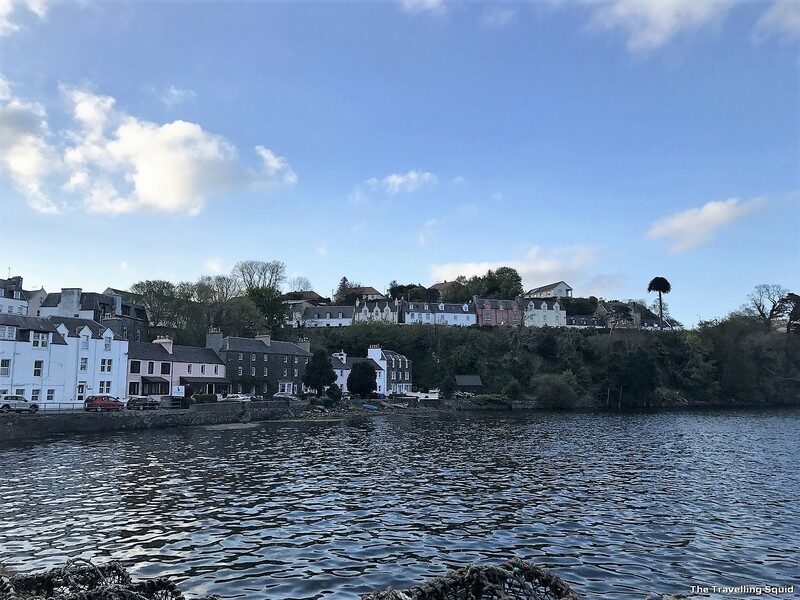 2 Responses to "Photo story: Visiting the Portree Harbour in Isle of Skye"